Welcome to Casino Del Sol Resort, Spa and Conference Center, the Pascua Yaqui Tribe’s jewel in the desert and southern Arizona’s premier luxury and business travel destination. This gorgeous high-rise 215-room hotel is adjacent to Casino Del Sol and outdoor entertainment venue, AVA Amphitheater. Arizona’s newest AAA Four Diamond-rated destination features: 215 rooms and 10 suites with balconies; 65,000 square feet of event space including the a Conference Center featuring a 20,000 square foot Ballroom; PY Steakhouse; Festa International Buffet; Prema Lounge; two Starbucks locations; retail store; high end gaming salon; Hiapsi, an elegant spa and exercise facility; a luxurious outdoor pool with private cabanas, bar, fire pits and event space; AVA, a 5,000-seat open-air concert venue; and a 1,120 space parking garage. 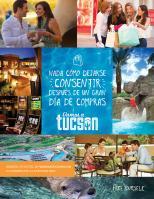 Casino Del Sol Resort is everyday extraordinary and the ideal location for business or pleasure. In addition to the impressive amenities featured in the resort, the incredible selection of casino games add to the fun. No matter your preference, Casino Del Sol has something for you. Home to more than 1,300 state-of-the-art slots, a variety of table games, bingo and poker, Casino Del Sol is a gaming destination for everyone from the casual slots player to the seasoned veteran. 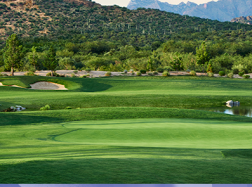 Sewailo Golf Club, a Notah Begay III designed 18-hole, par-72 championship golf course, features a Jack Nicklaus Academy of Golf, which broke ground in Feb. 2012, and opened in 2014. The Pascua Yaqui Tribe is a federally recognized tribe with more than 17,000 enrolled members, and owns and operates two casinos: Casino of the Sun and Casino Del Sol. The reservation is located in southwest metropolitan Tucson. For more information, visit: www.solcasinos.com or call 1-855-SOL-STAY. With five sets of tees for every level of golfer, you and your group can come play at any competitive level you desire. This..